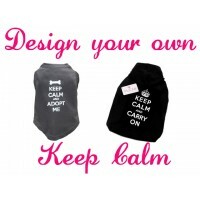 Create your own "Keep Calm and Carry on" T-Shirt for you pet. Have your own text on you.. Create your own Hoody for you pet. Have your own text on your clothing: Simply: Choos.. Create your own T-Shirt for you pet. Have your own text on your clothing: Simply: Cho..